Mortgage delinquency rates, the precursor to foreclosures, continue to fall as the real estate market continues to perform well. 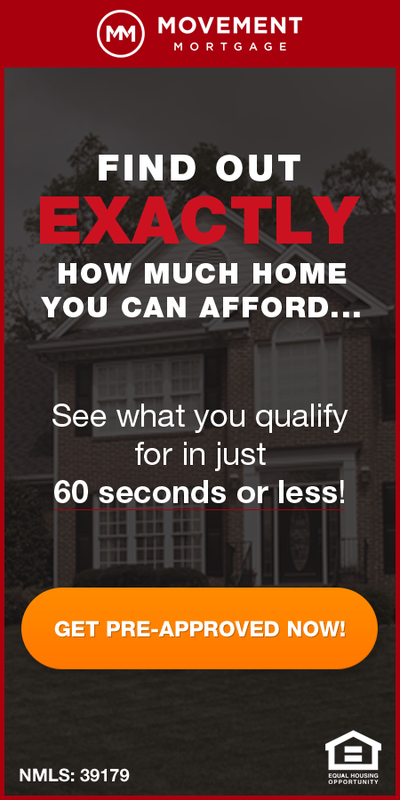 The 30-plus day mortgage delinquency rate for June 2018 fell to 4.3% of all outstanding mortgages down from 4.6% a year ago, according to a report just released by CoreLogic. Frank Nothaft, the Chief Economist for CoreLogic, attributed the good news to “A solid labor market” going on to say that June’s national unemployment rate of 4% was “the lowest for June in 18 years“. With the economy and real estate market doing so well, distressed home sales (short-sales and foreclosures) continue to decline. 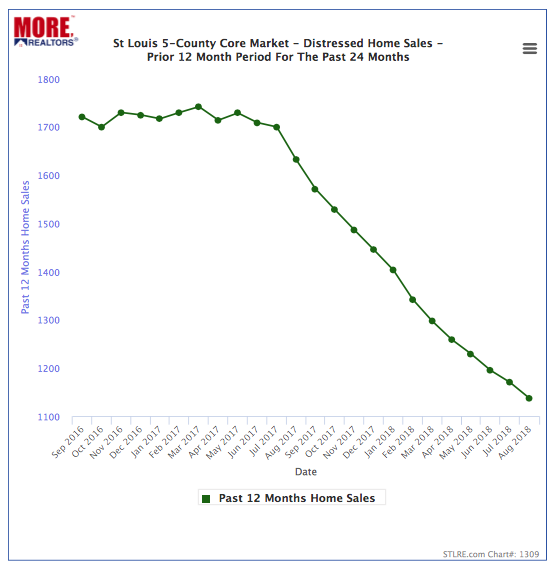 As our chart below shows, the 12-month trend line for distressed home sales in the 5-County core St Louis market (city of St Louis and the counties of St Louis, St Charles, Jefferson, and Franklin) fell to 1,137 sales for the 12-month period ending August 2018. This is a decline of 30% in distressed home sales in St Louis, from a year ago when there were 1,632 distressed home sales during the prior 12-month period.